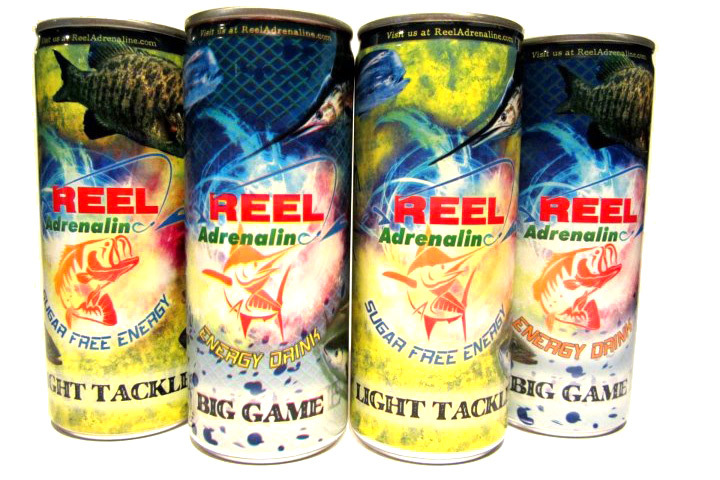 Reel Adrenaline – Energy Drinks For Fishermen | FISHING FURY - A Fishing Blog with Attitude! I’m sure most of you are wondering what makes these energy drinks different than non-fisherman energy drinks. The fact is, they are completely different. These cans have pictures of fish on them! Fish! REEL ADRENALINE Energy Drinks are a fishermen’s best friend. They wake you up in the morning, and keep you alert late into the day, helping you attain the extra edge needed to land your team’s tournament winner or your fish of a lifetime! While hunting your favorite gamefish you deserve to be at the top of your sport, and REEL ADRENALINE helps keep you there.